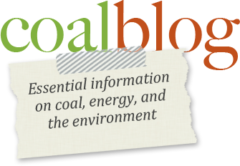 (WASHINGTON) – The U.S. coal industry is distressed, and the fate of U.S. coal mining regions and jobs figured prominently in the 2016 Presidential election. EIA forecasts that coal will continue to decrease as a source of U.S. electricity production through 2050. The economic and societal costs of coal mine closures are large, and the decline of the coal industry has taken a heavy toll. For example, the increased poverty associated with coal job losses is startling, and in some eastern Kentucky counties poverty rates exceed 30% and child poverty rates approach 50%. [The study shows that] coal-related job losses in Appalachia were actually four times as large as is generally reported, and the job losses in the U.S. were nearly six times as large. These job losses in Appalachia over a five year period had devastating consequences – especially for Kentucky and West Virginia. Absent these losses, both states would have experienced full employment instead of recession. Coal jobs are thus the difference between recession and full employment, especially at the county level. Further, coal jobs in Appalachia pay very well. For example, a coal mining job in eastern Kentucky pays more than twice as well as the average private sector job in the state. To learn more join us for our upcoming webinar. American Coal Council, but pre-registration is required. Non-members may register for a fee of $50. Space is limited to the first 50 registrants. Register TODAY!